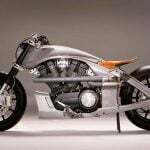 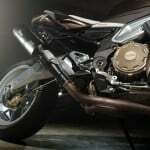 Bulgarian firm Vilner Studio is best known for creating one-of-a-kind designs for car interiors but the tuner has also dabbled in motorcycle design. 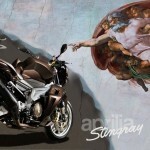 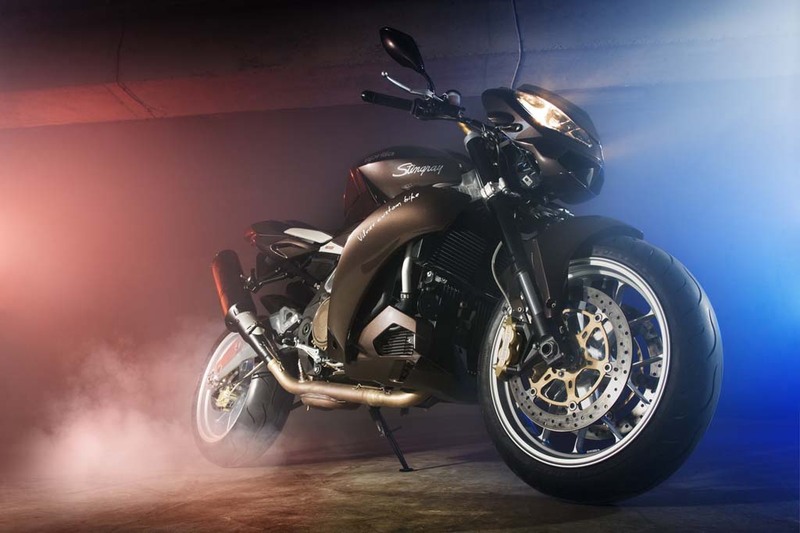 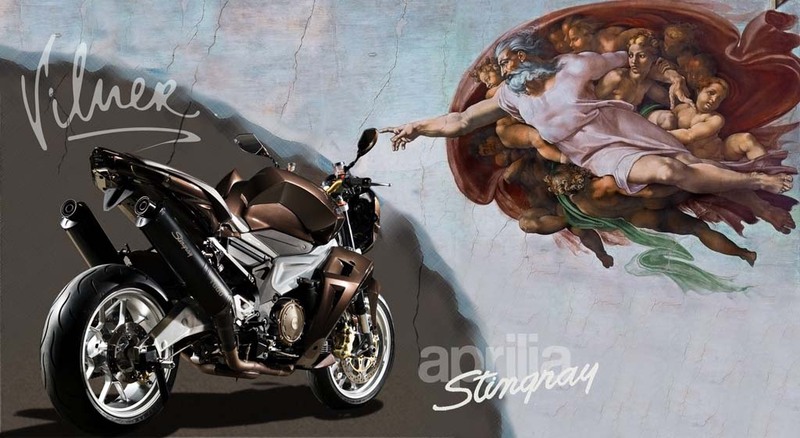 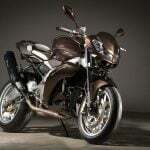 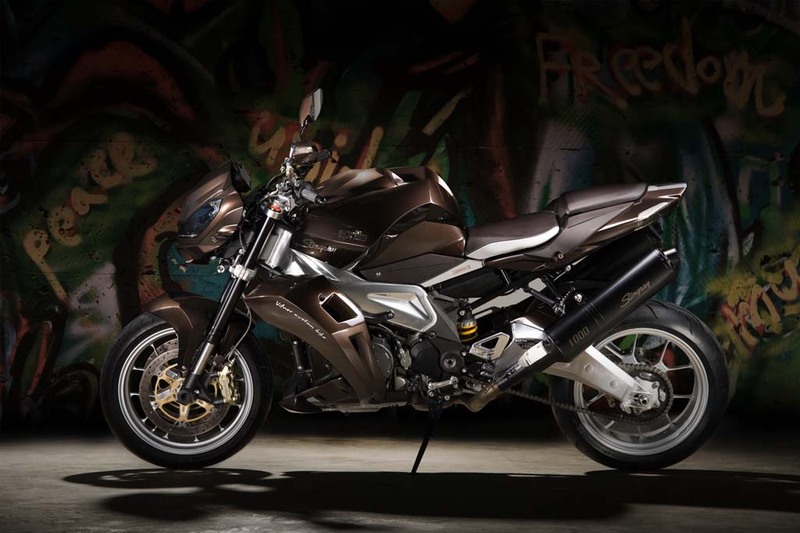 In its latest two-wheeled project, Vilner gives the 2010 Aprilia Tuono 1000 a makeover, producing what it calls the Aprilia Stingray. 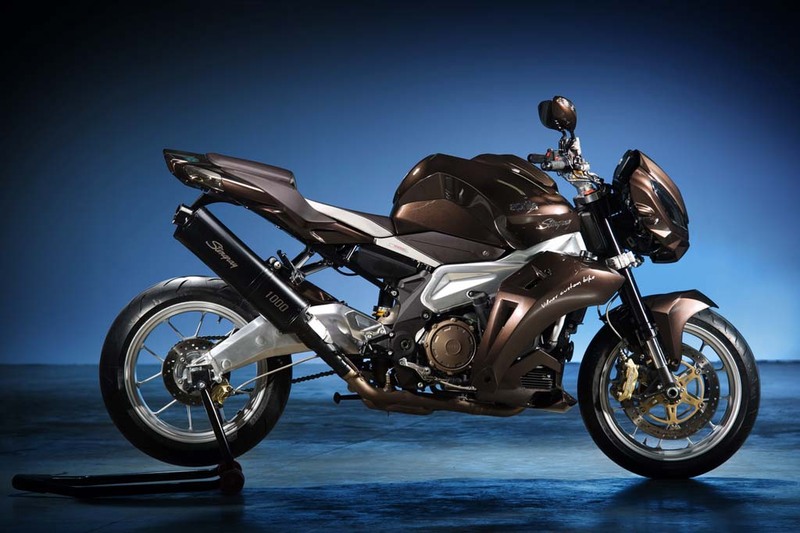 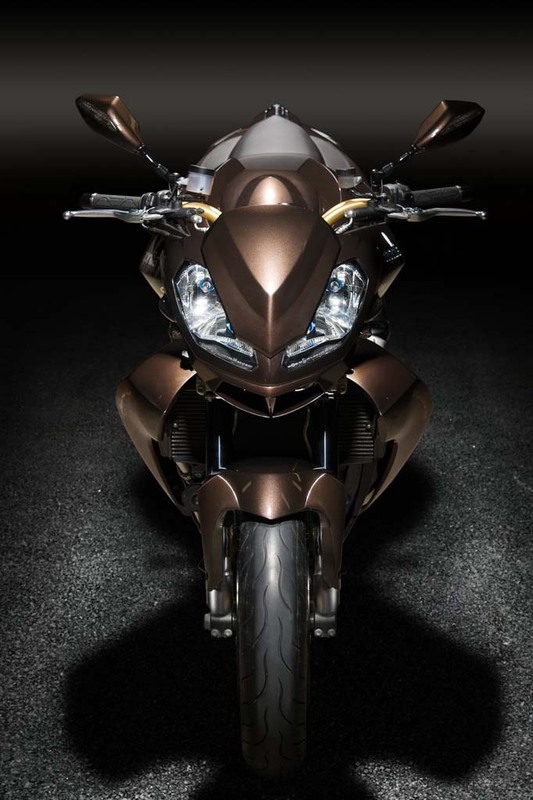 The Tuono has always had a slightly insect-like quality to its design, particularly with its headlight and cowl fairing which resembles a wasp’s head. Vilner had a different kind of creature in mind, and its creation somewhat resembles a stingray with its wing flaps folding down around the Tuono’s sides. 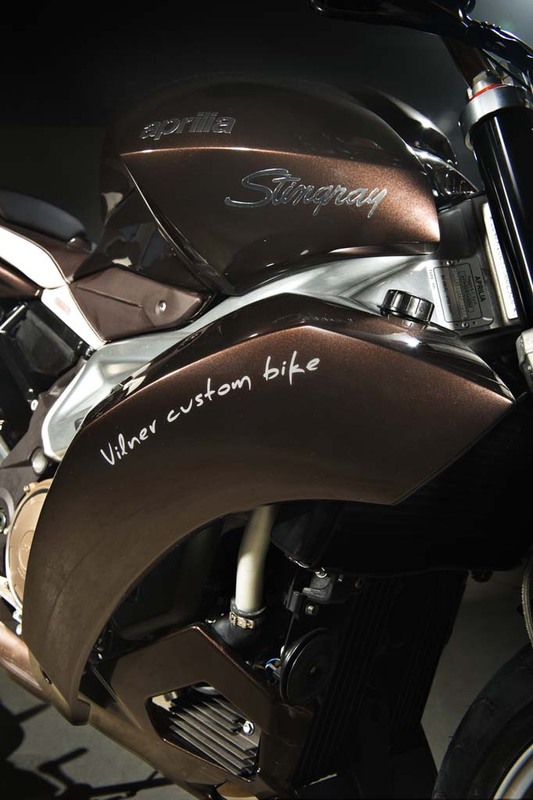 Vilner added 13 design elements to create the stingray, giving it a more aggressive look than the base Tuono (see the side-by-side picture above). 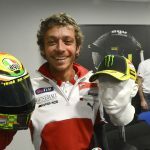 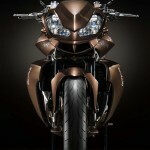 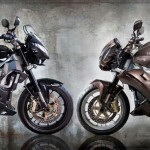 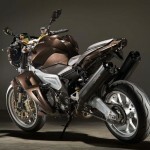 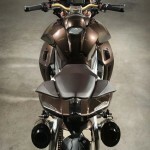 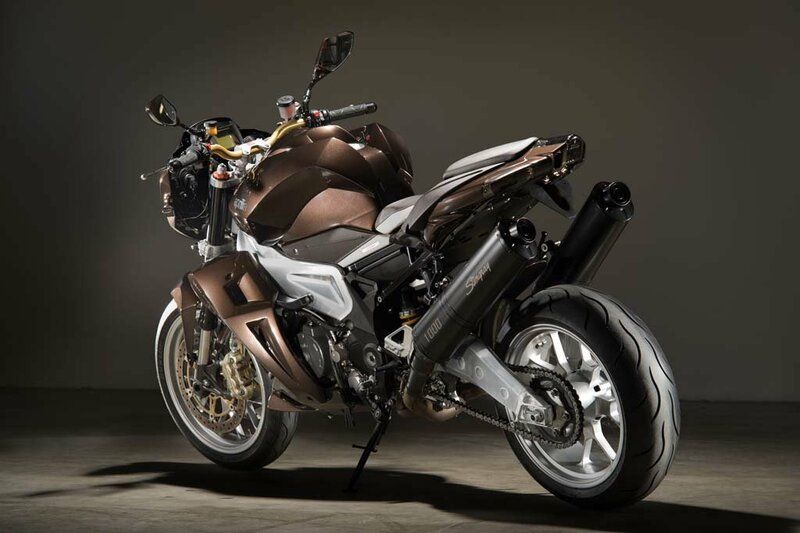 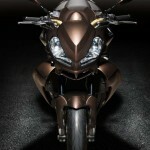 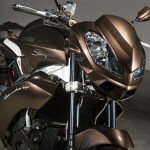 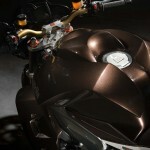 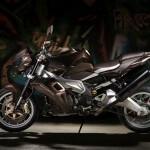 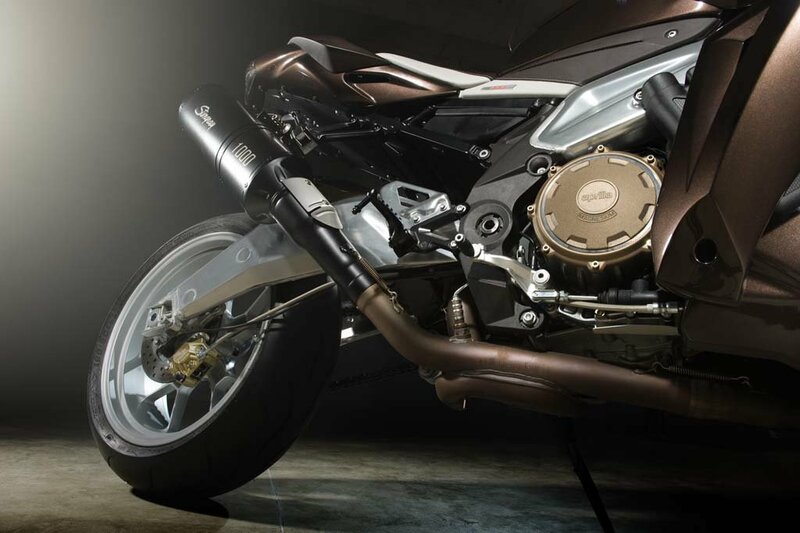 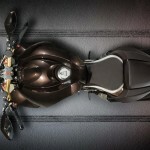 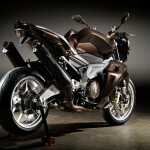 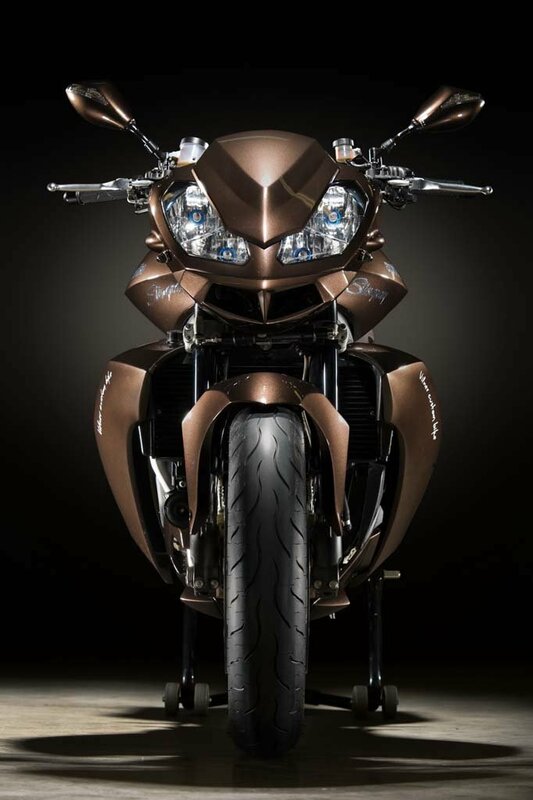 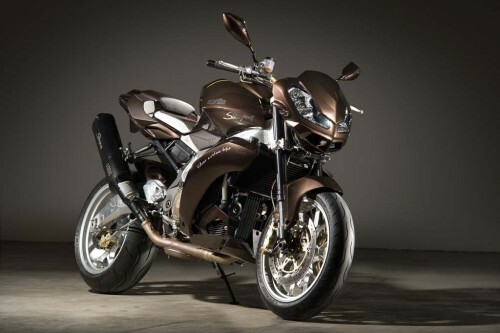 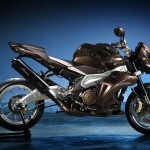 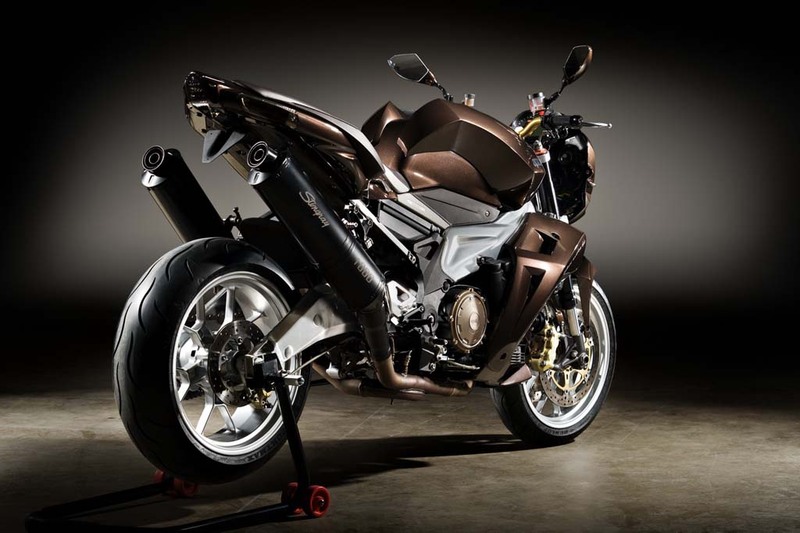 Vilner retained the Tuono’s dual headlights but redesigned its cowl with new air ducts and integrated LED turn signals. 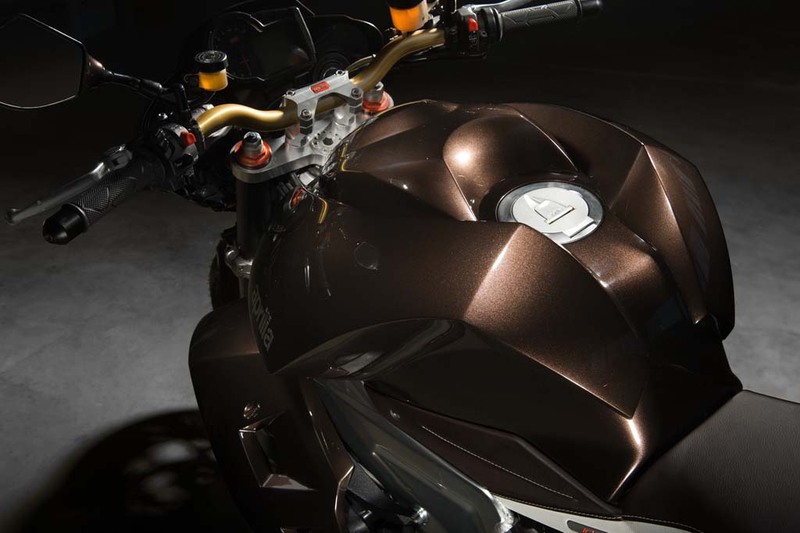 The fuel tank has two angular peaks giving it a more hunched profile than the relatively flat stock tank. 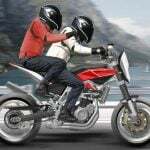 The fuel cap is located in the recess between these two peaks. 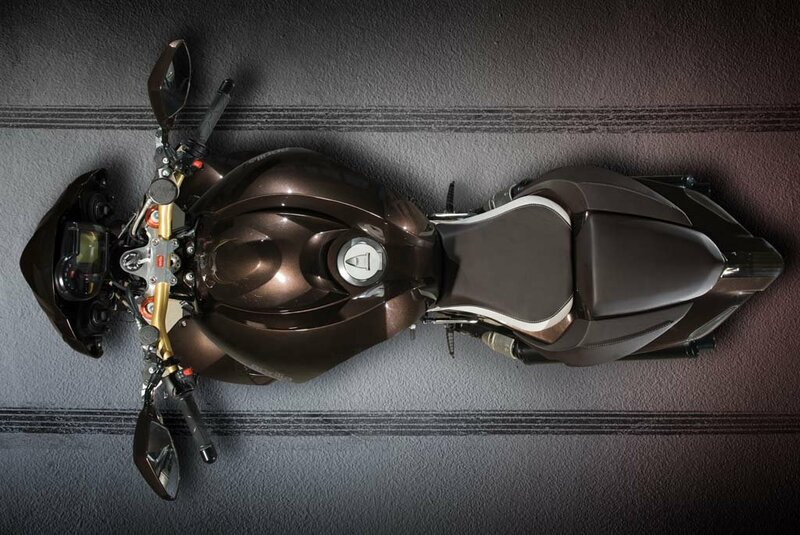 The curve of the fuel tank additions extends downward along two side fairings, each with two vents for dissipating engine heat. 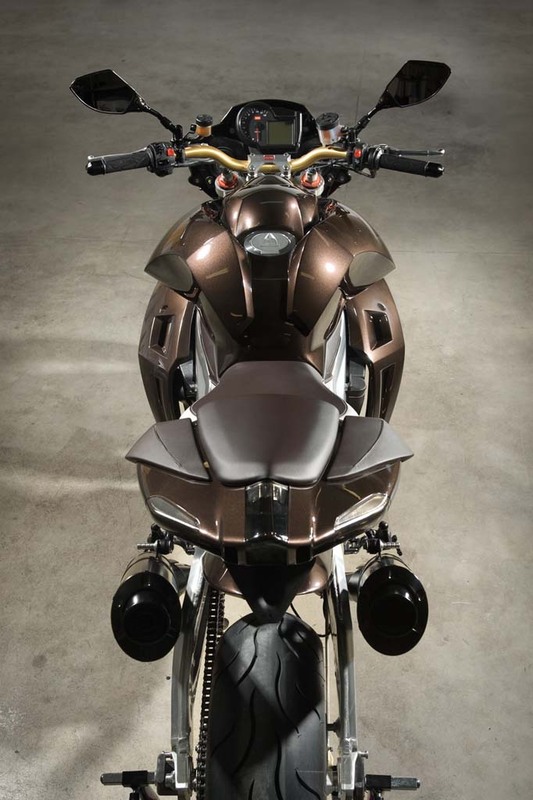 The side plastics directly below the fuel tank where a rider would grip his thighs are wrapped in two-toned leather that extends up to the seat. 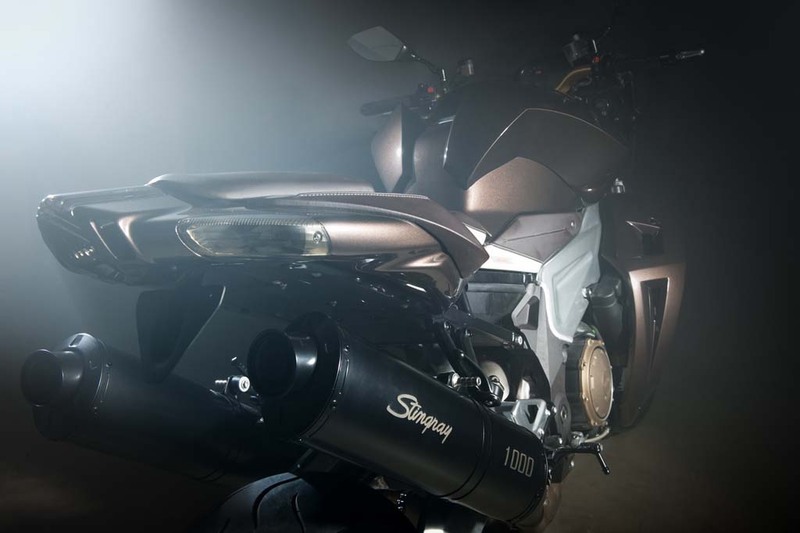 Vilner applied a smoky tint to the taillights and painted the subframe matte black and gave the twin exhausts a similar black paintjob. 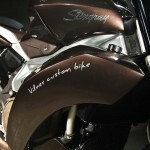 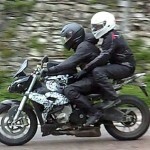 Vilner shortened the license plate holder and positioned it slightly forward while also extending the swingarm by 15 cm. 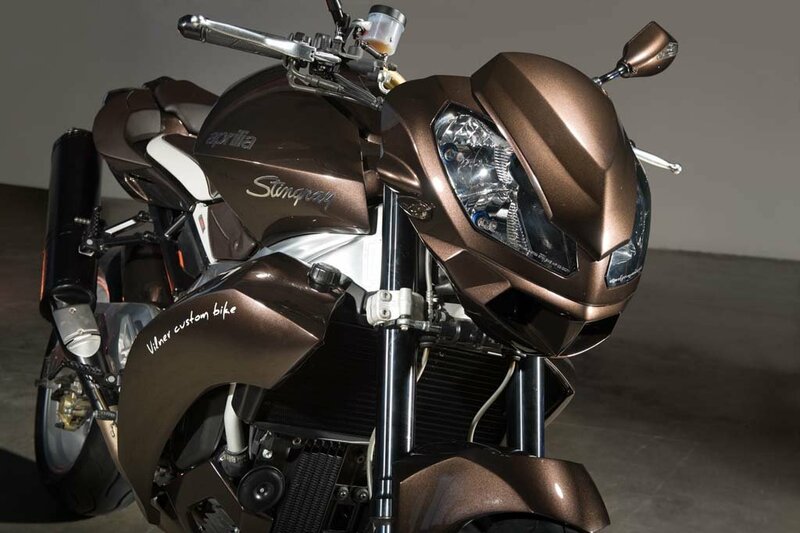 To finish the look off, Vilner gave the Stingray a metallic brown color with silver wheels. 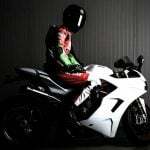 The updates aren’t just visual however. 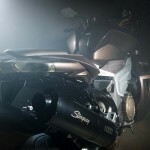 Vilner isn’t specific with the updates but claims the Stingray has a 10% increase in power.